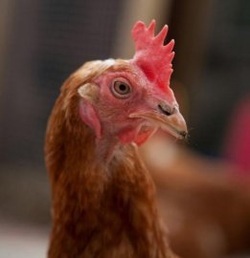 The Following story was written by Trisha Healy and tells about her experience providing a loving home for ex-farmed hens. Homes4Hens Battery Hen Rescue was found after many phone calls to rescue associations who guided us towards their website. A donation to cover her cost is all she asks for to help her rescue more. She carefully placed two hens in each of our carriers and we set off home. We have found the hens so easy to look after. They love a treat especially mealworms with porridge and will rid your garden of dandelions in a flash!